Sally Dowling is a senior counsel of the NSW Bar Association and a deputy senior crown prosecutor. ‘I painted Sally because she is a striking young woman who has strived and achieved in her legal career. I have known Sally since she was ten years old, when I met her mother, my partner Stephanie Claire,’ says Salvatore Zofrea. Born in Calabria, Italy in 1946, Zofrea came to Australia aged nine. Long established as a distinguished artist, he creates watercolours, pen and wash drawings, fresco and prints (etchings and woodcuts), but his main medium is oil on canvas. 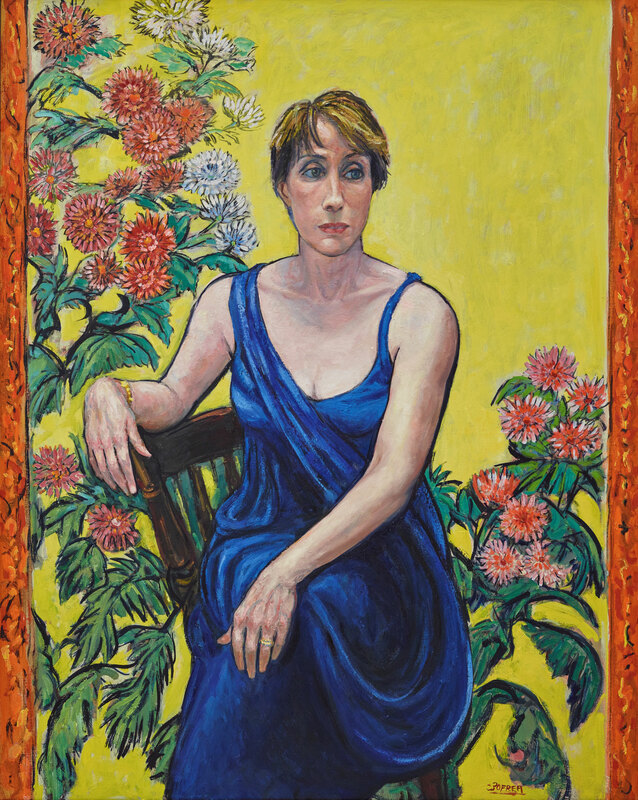 The process of painting this portrait began with taking a series of photographs of Dowling in Zofrea’s studio. ‘We discussed what she might wear, agreeing on a beautiful ultramarine dress, which enabled me to use lapis lazuli, a pigment I love. I placed Sally in front of a Japanese screen depicting flowers and heightened the elegance of her pose using a woodcut impression. Over a cluster of sittings, I was able to capture her strength and quiet authority,’ says Zofrea. Zofrea has been a finalist in the Archibald, Wynne and Sulman Prizes on numerous occasions, winning the Sulman Prize in 1977, 1979 and 1982.